Home » Posts » Attentionology for K-5 Teachers » Good Work – Good Luck! Depending on your time zone around the world and if you had access to the broadcast, you were able to catch the Super Bowl live last night. Let’s just say that teamwork was at play, with some masterful play action and some good luck. Finding ways to rally the forces of good luck is an age-old practice in every corner of the globe! Football and other sports fans wear their favorite team’s colors. The list of good luck practices could circle the earth. I’ve done some fascinating research into customs in countries around the world that help children conquer fears and celebrate successes. One that I discovered is the Egyptian tradition of wearing blue beads to ward off evil and bring good luck. I’ve learned that in this Middle Eastern country, wearing blue or turquoise beads in the shape of an eye or a hand with five fingers dates back to the time of the pharaohs. Before you offer details about this practice, ask your students if they ever wear, carry or hold onto something to bring them good luck. Note their answers on the board. Next, explain to your class that children, young people and families everywhere in the world practice traditions to find good luck. If you can find a blue bead to show in the shape of a hand or eye (jewelry shows, like annual events at state fairs for example, often sell international treasures), a bead would be more appropriate for older elementary school students. 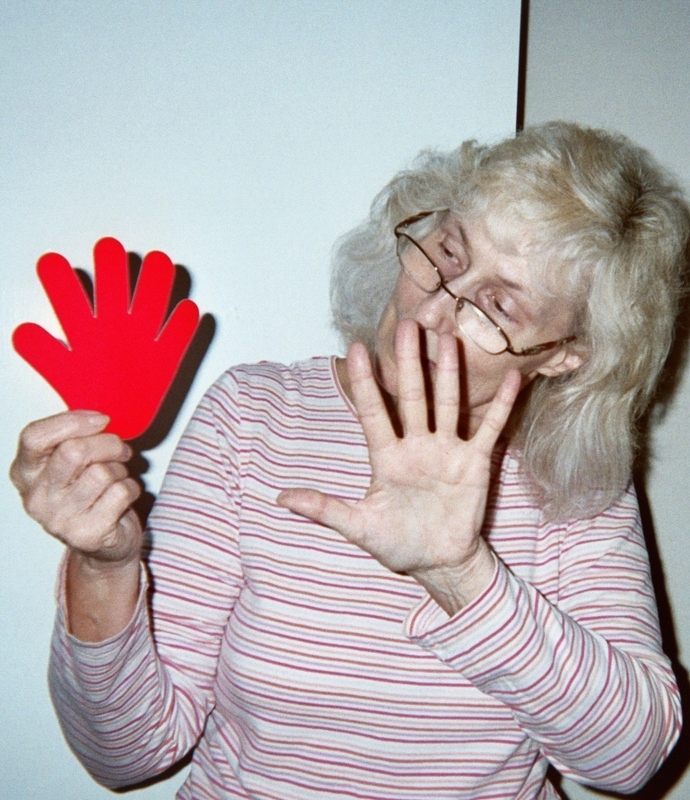 If you work with kids in grades K – 2, you can invite them to trace and cut out their own hand shapes on colored construction paper or card stock or distribute patterns for the children to use to draw, color and cut out hands to hold up. Students in grades 3 – 5 might enjoy learning more about the history of “good luck” traditions by experiencing art work that corresponds to the era when the tradition began. Check out my blog pic below. 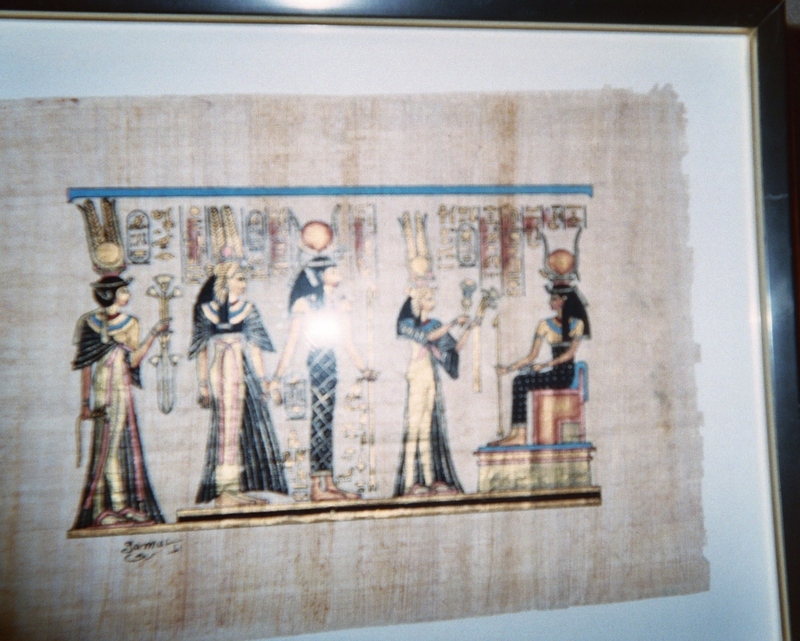 Egyptian figures from the days of ancient pharaohs are printed on parchment paper. Reprints of world-famous visual art like this are often available at libraries, museum stores and online. On this Monday after a very modern 2012 Super Bowl Sunday, New England Patriot players and fans may be wishing that they had knocked harder on wood before game time. Did you know – and you can challenge your class with the same attention-grabber of a question – did you know – that the tradition of knocking on wood for good luck comes from France? Here’s another attention-ology trick for grades 3 – 5…place a large piece of wood on a table in front of your class one morning. When kids ask what it’s for, tell them that “as a team, we’re looking to do our best in school today.” “We’re going to touch wood, following a tradition from the country of France (show the nation on a world map), for good luck in learning.” Then tell your class that a wise man once said, “The harder I work, the luckier I get.” Move into lesson time by asking your students to raise their hands if they agree with that statement and are ready to get to work. ‹ Constant Change – What a Challenge!